Businesses that send employees out to meet with their customers are very aware of this fact. Every dollar spent on gas is a dollar that could have been used for something else instead. Figuring out how to use less gas allows businesses to increase their profit margins significantly. Surely you’ve already told your employees to drive defensively in order to improve driver safety and fuel efficiency. But once your drivers are on the road, how can you confirm that they’re actually following your instructions? They might be staying under the speed limit, or they might be driving recklessly. You can’t them, so how do you know? With a multi-stop route planner that has vehicle tracking capabilities, you can see where your drivers are and how fast they’re going in real-time. When a driver starts speeding, you’ll know about it immediately. You can get them on the phone and tell them to cut it out right away. And when a driver knows they’re being watched, they’re less likely to drive recklessly in the first place. A road trip planner with multiple stops makes the unexpected much easier to deal with. For example, let’s say one of your drivers breaks down in the middle of their route. What would you do in that scenario? A route planner with GPS tracking would show you exactly where the broken-down driver is, and it would also show you which one of your other drivers is closest to them. With that information, you direct the closest driver to pick up all broken-down driver’s packages, so that those deliveries are delayed as little as possible. You’d be able to recover from a disaster without damaging your reputation. Sounds good, right? Getting stuck in traffic is terrible for your bottom line. It delays your drivers, which isn’t good for customer satisfaction, of course. Also, all that idling eats up a ton of gas. Routing software takes traffic, weather, construction, customer availability, and other factors into account when creating routes. It’ll give your drivers what they need to avoid traffic and stay on schedule. Gas isn’t the only ongoing expense associated with vehicles. There’s also maintenance. It’s tempting to put off vehicle maintenance for later when it’s not absolutely necessary. How frequently do you change your oil? When was the last time you replaced your tires? Don’t fall behind on these tasks. High-quality oil has friction-reducing additives that improve fuel efficiency, and fresh tires make it easier for a vehicle to “grip” the road beneath it, which also improves fuel efficiency. By investing a little money in your vehicles now, you’ll save a lot on gas in the future. Trying to fit too much cargo into one vehicle will slow your whole operation down. The items you’re delivering should be as evenly distributed among your fleet as possible. Some route planners have a load constraints feature you can use to assure your loads are correctly balanced for your vehicle types and routes. Advances in automobile technology have made modern vehicles more fuel efficient than older cars. Whenever it’s financially possible, you should swap out old cars for new ones. Specifically, you should swap your cars out for ones that are powered at least partially by electricity. A hybrid vehicle might get double or even triple the miles per gallon that your cars get now. 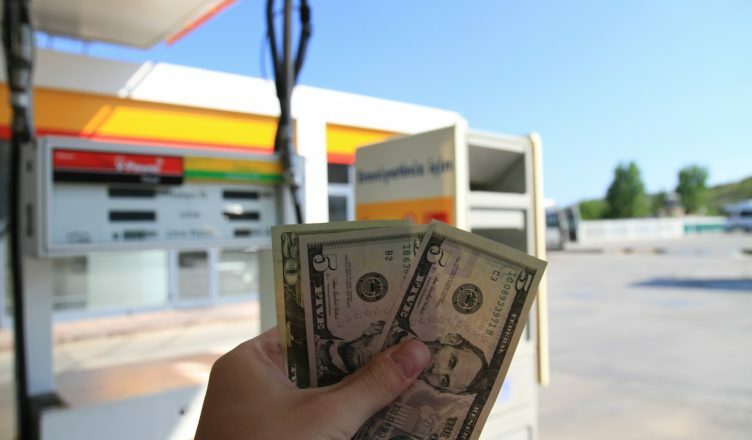 Fraud and waste make fuel expenses higher than they have to be. Do you have dedicated pumps for your employees? Do you give them fuel cards to use off-campus? These privileges can be abused. You must put systems in place that will stop drivers from wasting your resources for their personal use. Here’s a neat trick: always buy gas in the morning or at night. Gas expands when it’s hot, so when you buy it in the afternoon, you get less than you would in the colder parts of the day. This temperature change doesn’t make much of a difference, but the savings add up over time. Do you have any questions about saving gas? Have you ever used a route planner with multiple stops before? Let us know in the comments section below.